What Municipalities are Part of the Greater Toronto Area? If you live in Southern Ontario, chances are you often hear the term GTA, or Greater Toronto Area. But what cities and towns are included in the GTA? 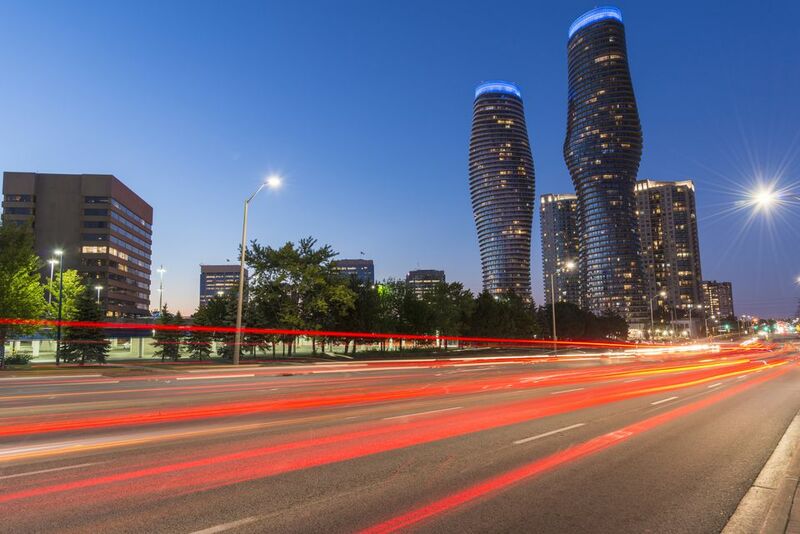 If you're curious or just want to learn more, whether you live in Toronto or you're a visitor, below you will find an outline of the cities and towns in the GTA as well as a few highlights of what you can see and do in each area. Besides all of the neighborhoods in the amalgamated City of Toronto, when people refer to the Greater Toronto Area they are usually talking about an area which includes the regions of Halton, Peel, York, and Durham. These regions often make great day trips from the city for their many attractions, which include everything from beaches and conservation areas to art galleries, craft breweries, and museums. It is not uncommon for GTA residents to live in one municipality and work in another, including people who commute both into and out of Toronto daily. In these cases, it's helpful to stay updated on Toronto traffic. But there are also ways to use public transit between the regions, such as GO Transit, and options to connect between the public transportation systems in the GTA using local transit systems. Read on for more information about the Municipalities in the GTA. The regional municipality of Halton is the westernmost part of the GTA. According to the official Halton Region website, the approximate population of Halton Region in 2016 was 548,435. Halton Region includes the City of Burlington, the Town of Oakville, the Town of Milton, and the Town of Halton Hills. What to see and do: Hikers take note: Halton is home to the Bruce Trail, Canada’s oldest and longest footpath. The region is also intersected by the Niagara Escarpment, a UNESCO World’s Biosphere Reserve. In addition, Halton Region is home to more than 25 kilometers of Lake Ontario waterfront which you can take advantage of via the region’s parks and conservation areas. These include Crawford Lake Conservation Area, Kelso Conservation Area, Bronte Creek Provincial Park, and Hilton Falls Conservation Area for camping, swimming, hiking and more. Getting around: Halton is located 30 minutes from Toronto and 45 minutes from Niagara and easy to get to thanks to being accessible via three airports, a well-maintained road and highway system, public transit (Burlington Transit, Milton Transit, Oakville Transit), and Go Transit for getting between Toronto and Halton. Peel is west of Toronto and stretches much further north. Although Peel Region has the fewest individual municipalities of the four regions, they are densely populated (1.4 million as of 2016) and still growing. These include the City of Brampton, the City of Mississauga and the Town of Caledon. What to see and do: In terms of attractions and things to do in the region, Mississauga has more than 480 parks and woodlands to explore and the bustling city is also home to Wet 'N' Wild Toronto, a 100-acre water park; Fantasy Fair, Ontario’s largest indoor amusement park; and hosts many festivals and cultural events throughout the year. And like Halton Region, Peel's picturesque Caledon is situated along the Niagara Escarpment, a UNESCO Biosphere Reserve. In addition, Caledon is also home to several art galleries, farmers’ markets and good shopping opportunities including art, jewelry, and antiques. Getting around: Use GO Transit to get to Peel Region (trains and buses) and get around in the region via Mississauga Transit and Brampton Transit. Some parts of Mississauga are also serviced by the Toronto Transit Commission (TTC). In addition, Peel Region is home to Toronto’s Pearson International Airport. Sitting north of Toronto, the region of York stretches all the way to Lake Simcoe and includes nine municipalities which include the City of Vaughan, Town of Richmond Hill, Town of Markham, Town of Aurora, Town of Newmarket, Town of Whitchurch-Stouffville, Town of East Gwillimbury, Town of Georgina and Township of King. What to see and do: There is lots to see and do in York region no matter where your interests like. For starters, the area is home to over 70 golf courses for anyone looking to work on their swing. Outdoor enthusiasts can take advantage of the beaches of Lake Simcoe, several conservation areas and the 50-kilometer Lake Simcoe Trail for walking, biking and running. Hikers will also want to explore the Oak Ridges Moraine trail, lakes, wetlands and area forests. And in the summertime, York Region comes alive with a multitude of fun festivals (celebrating everything from food to music) - over 30 festivals to be exact during over 50 days in the summer. Getting around: Get to York Region via GO Transit and then use York Region Transit’s (YTR) Ride to GO program to travel to and from GO Train stations in York Region. The Viva transit system connects Markham, Richmond Hill, Vaughan, Aurora, and Newmarket and also links York Region with Toronto and its subway system, GO Transit and the Region of Peel. Durham Region is east of Toronto, in the Golden Horseshoe area of Ontario, and includes the City of Pickering, City of Oshawa, Town of Ajax, Town of Whitby, Municipality of Clarington, Township of Uxbridge, Township of Scugog, and the Township of Brock. What to see and do: Durham Region is home to more than 350 kilometers of recreational trails and conservation areas, which include the Great Lakes Waterfront Trail and Oak Ridges Moraine so hikers, bikers and anyone else who just wants to spend time outdoors will have no problem finding something active to do. You'll also find many farmers' markets, pick-your-own farms and agricultural fairs in the region, as well as many art galleries and museums. In addition, Durham Region also boasts several craft breweries and award-winning wineries, including Brock Street Brewing, 5 Paddles Brewing Company, Willow Springs Winery, and Archibald’s Estate Winery. Getting around: Durham Region Transit (DRT) is a local transit system serving all of Durham's communities. GO Transit serves the Golden Horseshoe area of Ontario and makes it easy to get to and from Toronto and Durham.